Online video is influencing all generations and consumers are now watching more than eight hours of online content every week. Rapidly evolving audience behaviour in 2018 has continued to drive video growth for over-the-top (OTT). 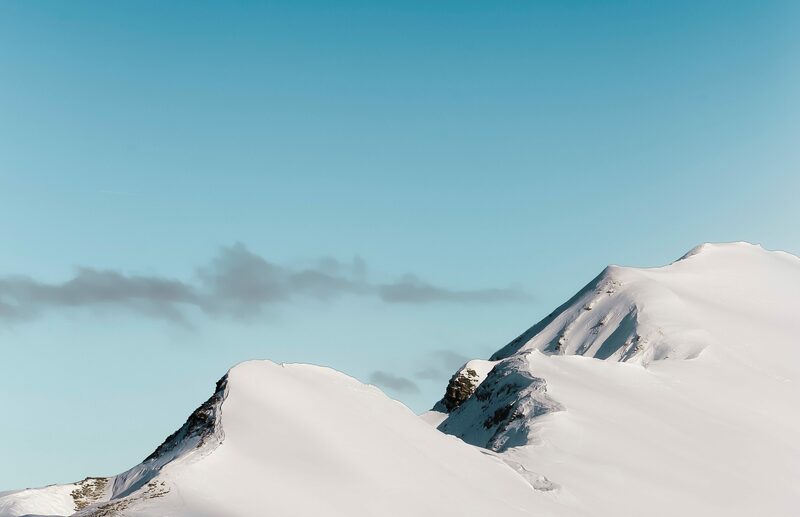 Global markets progressively continue to adopt online video as it becomes more popular, while the U.S remains a leader in Connected TV (CTV) and OTT. The growth of OTT subscribers and global OTT viewing time shows no sign of slowing down anytime soon. Where is OTT really hitting home? A recent IAB Study found that in the U.S, over two-thirds of adults (that typically watched OTT video) stated that they watch ad-supported OTT video (IAB Video Centre of Excellence). Millennials in the U.S are by far the largest adopters of CTV and OTT, paving the way for the most popular channel through which advertisers can reach these ‘cord-cutting’ audiences. Further East however, has also been a year of substantial growth for online video. Asia-Pacific (APAC) has witnessed a boom in OTT and CTV devices. Improvements in audience targeting and better quality video ad experiences has led to a spike in video ad spend in the region, with this trend set to continue well into 2019. Japan and Korea, as leaders in the established ad tech market have experienced some growth. However, due to their deep level of market integration, some areas of OTT adoption have been slower coming in comparison to the US – though growth is expected to be much quicker in 2019. So we can expect more innovative techniques and developments to emerge out of that corner of the world within the coming years. What can advertisers do to achieve meaningful reach? Previously advertisers had to simply get their ads in front of as many eyes as possible. These days advertisers need to calculate and target their efforts through campaigns based on first-party customer data. As advertisers today are continually pressing for consumer attention and business, personalised ad experiences are becoming the more popular way to do it. It should come at no surprise that many people aren’t huge fans of seeing ads. Especially when those ads get in the way of our user-experience. Our products are able to solve that problem and add value to any video. Original approaches and uninhibited user-experiences are what consumers want. Our On-Pause format only displays an advert when a video is paused. An innovative way to utilise unused and non-intrusive space don’t you think? Our Overstream On-Pause ad format mimics and aligns with the behaviours of TV advertising. 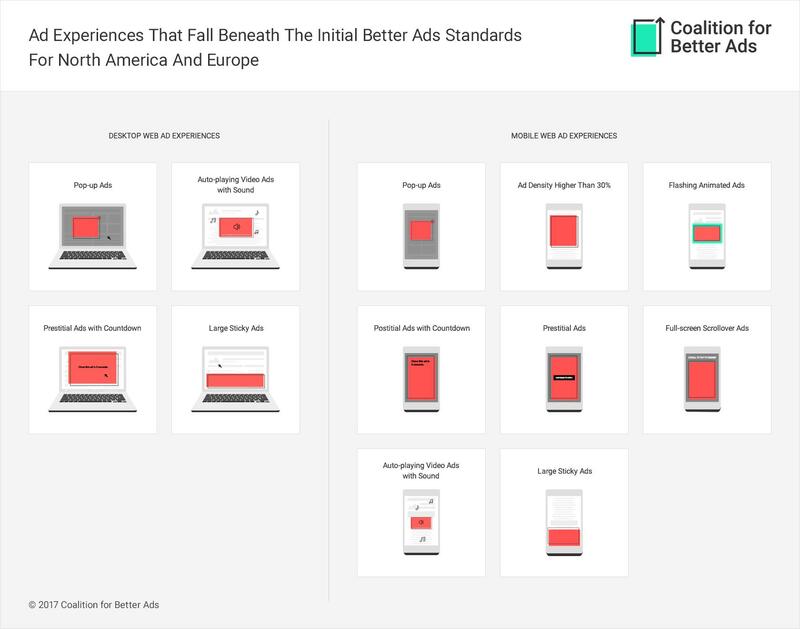 Delivering relevant, in-view ads politely, when a user chooses to pause content for whatever reason, such as a tea break, interruption or to replay a section. By not interfering with the user experience or content, users are communicated to at a time of their choosing or expectation. We’re proud of our Overstream On-Pause ad format. We feel that it can not only deliver content respectfully, but also add value to the users experience online. That’s the real goal at the end of the day right? Are you going? We are! DMEXCO is one of the biggest digital marketing conferences in the world. 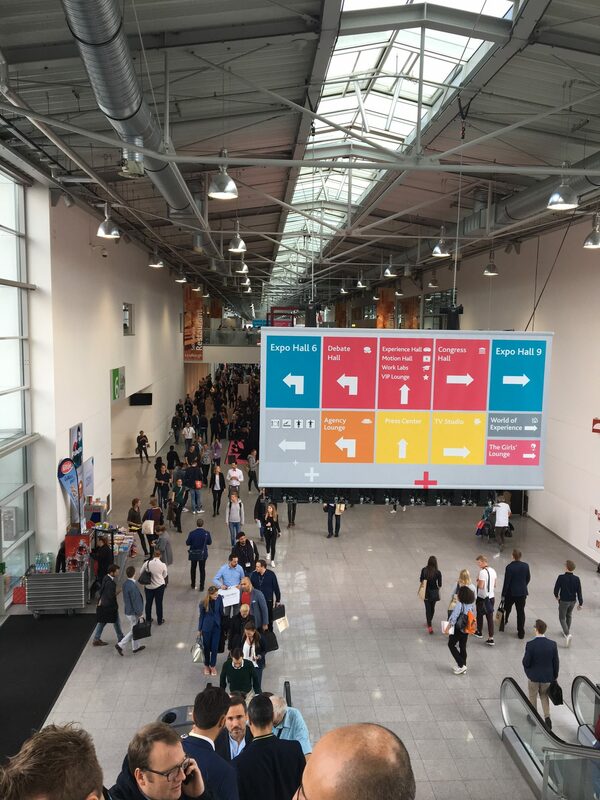 Although it’s a great place to network, learn about new business and discover current trends, it’s also very full on – read what we we thought of last year’s DMEXCO. So, you need to be prepared. But not to worry, we’re here to make sure you’re going to have a successful time at this year’s DMEXCO. You should decide what you want to get out of DMEXCO 2018 and this will help you plan your time. Do you want to learn more about the industry and trends for the following year? Brush up on your industry knowledge and research current trends. Expect discussions around AI, OTT, video innovation and voice programmatic. Research which talks you want to go to by looking at DMEXCO’s conference guide. And make sure you leave enough time to get between the halls (at least 15 minutes!). DMEXCO is huge, leave at least 15 minutes to get from one seminar to the other. Soak up all of your planned seminars and visit the Start-up Village, where upcoming businesses and creative entrepreneurs will be exhibiting. Also, network with a range of industry players to give you varied opinions on trends. Do you want to find new business? Fill your calendar with meetings before you leave. Also, organise meeting places in advance, expo spaces and food halls are huge so be specific about where you’ll both be. Check out the floor plan here. Don’t pack your schedule too full, leave time to get to your next meeting or network at stands. Remember, there are 1000+ exhibitors keen to show you what they have to offer. Stock up on business cards, this is a must! When there’s so much going on, it’s easy to forget a face. Business cards will jog people’s memory of you. Stay in the expo after hours, many stands hold networking drinks after the first day. Collect business cards and make sure you follow up your conversations as soon as possible. Have a WhatsApp group with the rest of your team. This enables you all to split up and cover more ground, whilst making it much easier to find each other later. Do you want to get your company’s name out there? Make sure people know you’re going to DMEXCO 2018 by posting about it on LinkedIn, Twitter and Xing. Work the floor, engage with exhibitors and hand out your business cards. Keep conversations concise, so that you can chat with more people. Go to events outside of the expo, such as dinners and parties. 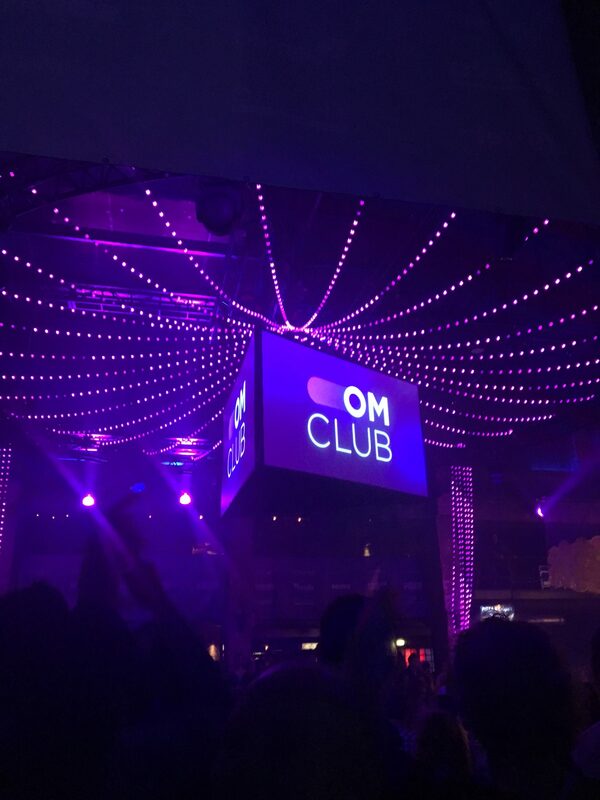 The most popular parties are the DMEXCO official party, OM Club and Online Marketing Rockstars. Perhaps most importantly, leverage your social media channels. You should take lots of photos, engage with other DMEXCO attendees and post about the talks you’ve attended and the people you’ve met. And of course, use hashtags… #DMEXCO18. Your marketing team will definitely thank you. So you’ve set up your meetings and planned the seminars, that’s all, right? Well, not exactly. You also have to plan how you’ll be getting around Cologne. You’ll not only be travelling with locals and tourists but thousands of other DMEXCO visitors, so make sure you take this into consideration. Buy advance tickets from Deutsche Bahn. Or buy your ticket upon arrival, but be sure to validate your tickets (with machines on the platform) before travelling. Use the mytaxi app or be prepared for extensive queues. Although, if you are stuck in a queue, it could be a great opportunity to network. Apps such as Citymapper are useful, they give you real-time updates to guide you on transport routes to your hotel. DMEXCO can be hectic, so don’t forget to look after yourself. Allow yourself time for short breaks and pace yourself. It’s likely you’re going to have long days and early mornings, don’t go too heavy on those free cocktails too early! Take snacks and make the most out of free food and coffee on stands. Queuing up for food at peak times can take ages. Though if you do buy food there, make sure you take cash – not many stands accept card payment. This goes without saying really. Let’s be honest, we’d be lost without our phones. Don’t get caught in the rain! You’re going to be doing a lot of walking. Most importantly, have fun. You’ll be meeting lots of like-minded people, soaking up the culture, discovering new businesses and learning about upcoming tech innovations. Also, they’ll be plenty of weird and wonderful freebies to find. For example, the unusual freebies from last year ranged from bright orange flip flops and a high vis jacket to fidget spinners and shower caps. You never know what you’re going to see! We’ve developed revolutionary in-video advertising, giving our partners the ability to add value to any video. Marketers can now serve contextually relevant ads within video to actively engaged audiences. And using our in-video formats, publishers can now easily monetise their video content in an exciting, user-friendly way. At this year’s DMEXCO, we’re excited to discover the latest innovations in video and form new partnerships. 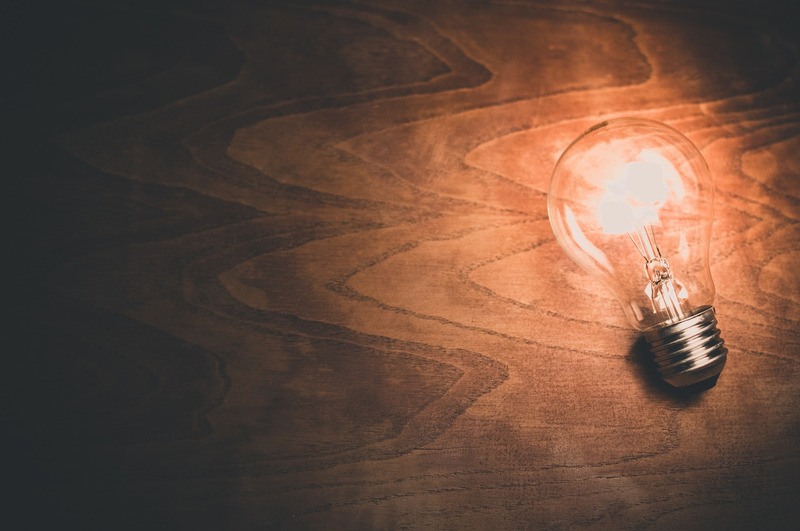 Do you want to find out how we can add value for you? Or do you want to find out more about our in-video technology? 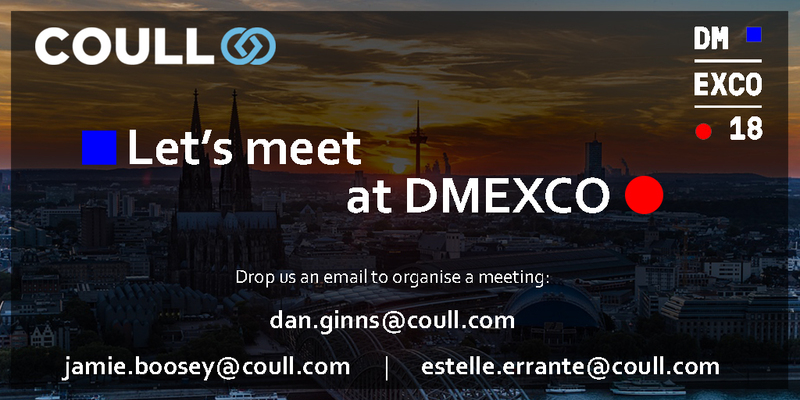 Then let’s meet at DMEXCO! Screens are everywhere, laptops, TVs, smartphones – they’ve become an ingrained part of our lives. So it’s no surprise that nearly a quarter of the UK population spend over 10 hours a day looking at a screen. However, people are becoming more aware of the addictive nature of the digital world and their own screen usage. In fact, a Deloitte survey found that 38% of people believe they’re using their phones too much. This new self-awareness is prompting a change in behaviour and many smartphone users are aiming to decrease their screen time. Even Apple is addressing this trend by rolling out a new iPhone feature that encourages people to limit their app usage. This feature is a built-in ‘App Timer’ that can set limits on certain apps, reminding the user to move on after 30 minutes or an hour. But how does this affect digital advertising? It’s no secret that advertising follows eyeballs, it’s estimated that we’re exposed to 4,000 to 10,000 advertising messages every day. So of course, digital advertising has become the most prominent strategy for the modern marketer. 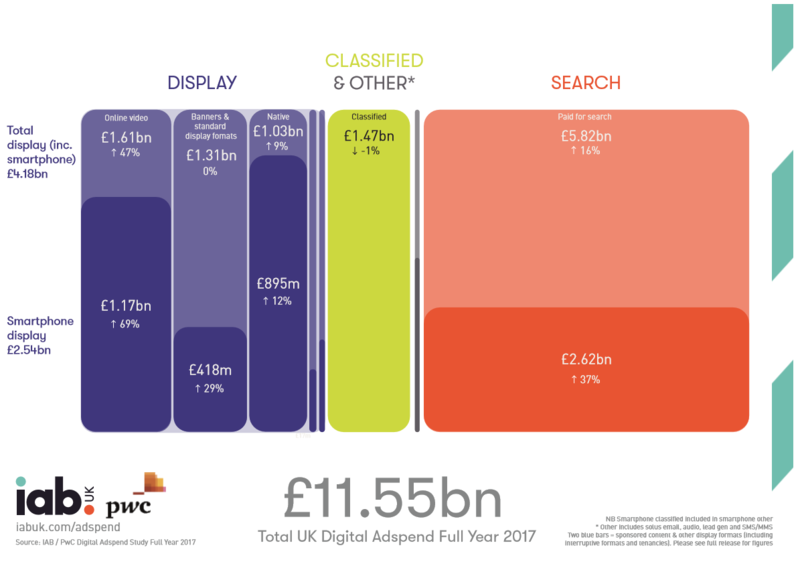 And the numbers don’t lie, over £11 billion was spent on UK digital advertising last year. As people are deciding to use screens less, many advertisers are fighting for their attention more. Unfortunately, this has resulted in a shouting match, seeing which brand can shout the loudest. This isn’t a great user experience, nor is it working for advertisers. The solution is not adding to the noise, but instead, to provide value where it’s relevant and useful. Advertising needs to change alongside the trend, not against it. People are utilising their screen time for more useful and enriching experiences and ads should follow suit. Advertising is a value exchange, it supports valuable content, news sources and social platforms. However, some ads don’t always contribute to a positive user experience by disrupting content or dominating the page. This demonstrates the ad types that are unacceptable and are now blocked by Google Chrome’s Ad Blocker. But what ad types are acceptable? Well, the IAB has released the ‘LEAN Principles’, a set of principles that outlines ad standards that will deliver a better user experience. Light – Limited file size with strict data call guidelines. Encrypted – Assure user privacy with ads delivered over HTTPS. Protect server-to-server communication. Ad Choice Supported – All ads should feature the Adchoices icon and support DAA’s consumer privacy programs. Non-invasive/Non-disruptive – Ads that supplement the user experience and don’t disrupt it by covering content and enabling sound by default. By working with reputable ad tech companies, publishers can help brands show non-intrusive ads and make a better experience for their users. At Coull, we work closely to these standards to make sure we produce ad formats that promote a positive user experience. We think of innovative ways to utilise unused and non-intrusive spaces, such as our OnPause format that only display an advert when a video is paused. Yes, advertising is a value exchange, but advertising itself should also provide value. The IAB’s ‘Fit for Purpose’ research showed that 78% of UK adults are annoyed by ads that aren’t tailored to their smartphone device. But when mobile-optimised ads were made, there was a 56% uplift in brand consideration. Only by working solely with reputable ad tech companies and web publishers can we truly improve digital advertising. How can you find out which companies can be trusted? The IAB aims to do just that with their new Gold Standard. We’re committed to making a better online advertising experience which is why we’re now registered for the IAB’s Gold Standard. The Gold Standard initiative aims to reduce ad fraud, improve the digital advertising experience and increase brand safety. We’re really excited by the positive changes happening in the industry, so let’s all raise a glass to a future filled with better advertising and enriching online experiences for everyone. If you’ve been paying attention to the news lately, you’ve probably been bombarded with news about privacy, data and our favourite 4-letter acronym: GDPR. One of the biggest stories was the Cambridge Analytica data scandal, where over 50 million Facebook profiles were harvested to target political adverts. This shook the world and ever since people have been questioning how their personal data is actually being used. Though, the issue of personal privacy has been cropping up for years. Although the internet has made it easier to collect personal data, there’s been controversy surrounding the invasion of privacy long before the wide use of the internet. For example, at one point, a bill was put forward in the state of California to ban caller ID because they felt it was a breach of privacy for the caller to have their information displayed. But it’s only now that substantial steps are being taken to protect personal data, hence the General Data Protection Regulation (GDPR) was born. If you haven’t heard about GDPR (though, how could you avoid it? ), it’s a law that aims to protect all EU citizens from privacy and data breaches. This regulation was enforced a month ago, on 25th May 2018. So, what’s happened since? 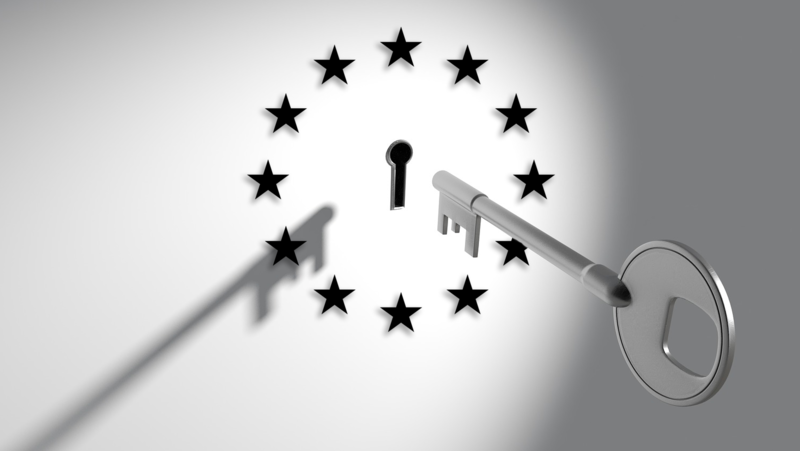 Businesses within Europe that handle personal data are facing more legal obligation for how they collect, process and store this data. Within the digital advertising world, personal data is collected for audience targeting, but this strategy is changing – big time. As a result, we predict other marketing and targeting techniques will flourish and ad tech will play a dominant role in this change. How is GDPR affecting Coull? Data privacy is affecting most businesses, but some more than others. 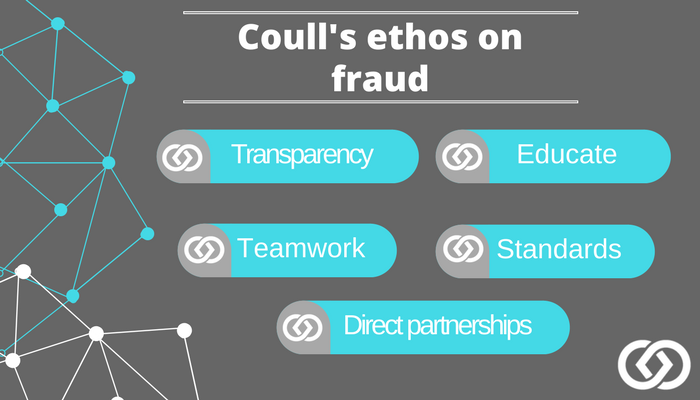 At Coull, we’ve always taken our user’s data and their privacy seriously and so we haven’t had to change our business processes or behaviours. 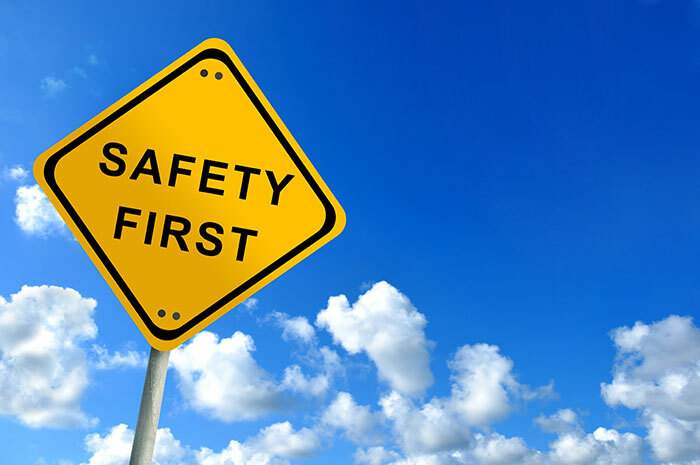 Though we have updated our policies and contracts to reflect our adherence to the GDPR guidelines and we will continue working closely with our partners to ensure compliance. Ultimately, GDPR is an opportunity for responsible businesses to add value in an open and transparent way. We hope this is the start of a new era of transparent data processing across our industry. How is it affecting the digital advertising industry as a whole? Many digital advertising strategies rely on collecting a person’s information through browser cookies – which stores information such as age, gender, location and general interests. Whereas GDPR means that people now need to ‘opt-in’ to having their information collected. This poses a problem for advertisers who want to target audiences this way. However, changes are already happening, such as a push towards more sponsored, social media and influencer marketing. For example, Adidas has quickly capitalised on the World Cup, by working with footballers and celebrities for social media content, directly targeting their followers. Contextual advertising is one way to avoid using personal data. It uses information on the content itself to make assumptions and then target the audience with a relevant advert. This is ‘GDPR safe’ because it doesn’t need to use personal data. Contextual targeting has many different levels, depending on the technical and analytical capabilities, such as targeting by domain, keywords or location. 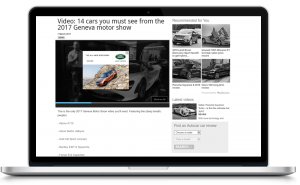 For example, Land Rover may want to contextually target their audience at a domain level with an advert on a car review website. An example of Coull’s OnPause format displaying a Land Rover ad in a contextually targeted environment. Advertisers can be real cookie monsters, collecting as many cookies as possible to target a particular campaign to the same person, again and again. However, without consent to collect their data, it can make retargeting hard. So let’s forget about the non-edible cookies, shall we? This is where ad tech can really make a difference. For example, our format, DoubleUp, delivers a ‘two-part’ retargeting campaign in the video player. First of all, a pre-roll ad is shown, then the video plays and the second part of the campaign, a display creative, is presented in one of our OverStream formats. Emirate pre-roll (first part of a DoubleUp campaign). An example of Coull’s OverStream Banner in a DoubleUp campaign for Emirates. Aside from using different targeting techniques, education and transparency are now more important than ever. If advertisers want to continue collecting data in a post-GDPR world, they’re going to have to win back the trust of the people, through respect and complete transparency. This involves, being open about their policies and making both opt-in and opt-out options clear and easy to follow. But unfortunately, many organisations are simply using confusing wordplay to give consumers no other option other than to simply ‘accept and close’ to approve the collection of their data. This is misleading and isn’t an effective way to earn trust. Money can’t buy happiness, but it sure can buy a lot of advertising. Last year, the UK's digital Adspend was estimated to be a whopping £11.55 billion. But what does this mean for Coull and the rest of the advertising industry? 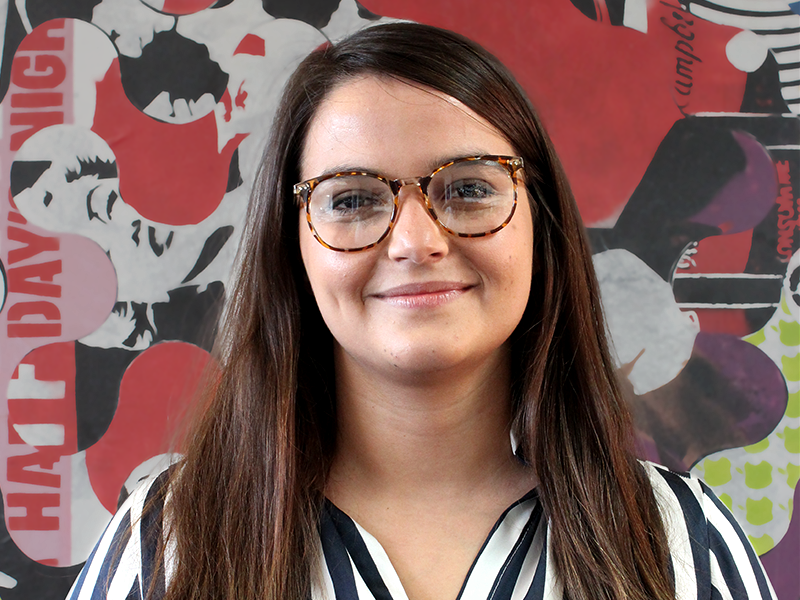 Our new Management Accountant, Eriona, is here to give you the low-down on the IAB’s 2017 Adspend figures and what they mean for this following year. It’s clear to see that the UK digital advertising market has healthy growth, there’s year-on-year growth of 14.3%, whereas, TV advertising saw a -3.2% dip in growth. The online advertising industry is now worth £11.55 billion, this is good news for many businesses in the industry, such as ad tech, because it shows the continuing success and money being put into the industry. As for advertisers, digital ads offers much more efficient and flexible options compared to traditional, offline advertising. We know that there’s accelerated growth in the industry, but what is driving this? Video! For the first time, online video has become the largest display format, with an impressive 47% year-on-year growth. Not only this, spend on video surpassed the £1 billion mark in the last year. This evidently demonstrates how important video is to advertisers. 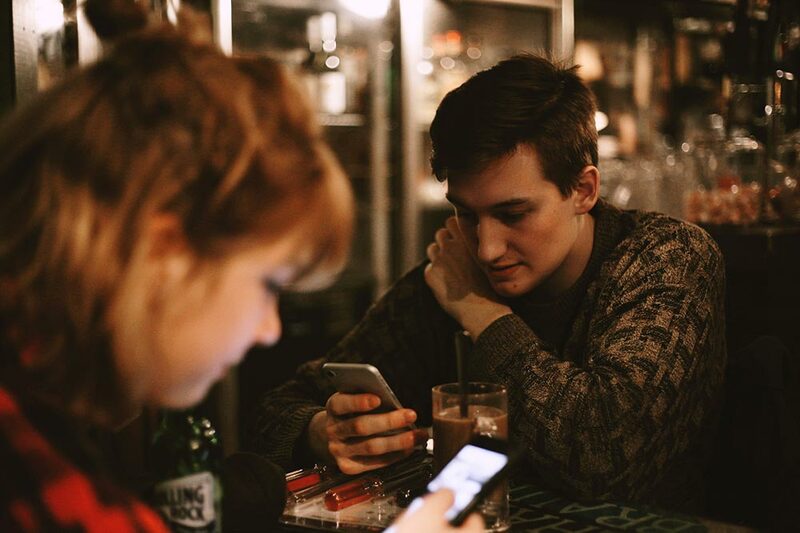 It’s interesting to see that 2017 was the first year that UK adults spent more time online on smartphones than on computers and tablets combined, with smartphones accounting for 59% of time in the final quarter of 2017. As we can see, advertisers have noticed this change in media consumption because they spent £5.2 billion on smartphone ads last year - a 37.4% increase on 2016. As smartphones are becoming increasingly popular, we're expecting the ad spend on mobile to increase too. One thing’s for sure, video and mobile will be centre stage in the following year - video as the hottest format and mobile as the most popular platform. So we’re expecting these two to continue to be the main drivers of growth. So no doubt, creativity in the mobile/video space will flourish as more and more advertisers put more thought and more spend on these formats. It’s no secret that the Facebook/Google duopoly is dominating the advertising market, but that doesn’t come without its struggles. Both companies have appeared in the news recently, with the Cambridge Analytica scandal and brand safety troubles on YouTube. This has resulted in a surge of people deleting Facebook and advertisers pulling their spend from YouTube. This is giving smaller businesses an opportunity to compete with viable alternatives or partnerships. There’s already a huge amount of company consolidation taking place and forecasted, such as telco AT&T are in talks to buy ad tech business, AppNexus. Partnerships between independent publishers could also pose a challenge against the duopoly, like the joint advertising platform for News UK, Telegraph and Guardian. Could this be the beginning of the tables turning? It’s especially exciting times for Coull because we centre our business and technology around video. We strive on being at the forefront of innovation in the video space and it’s great to see that video is now the largest display ad format. We’re proud to be part of a thriving industry. 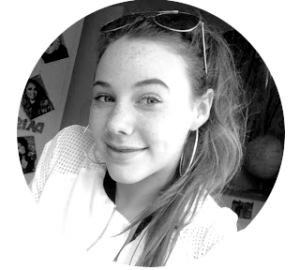 Although Eriona has lived in the tech-centred Bristol for the past 19 years, she is originally from Albania. She has 3 years of finance experience in companies such as HSBC and BDO and is now training to become a chartered accountant. Her role at Coull is varied but it mainly encompasses the managing of accounts, reporting, invoices and banking. Not only this, she is delving into the world of ad tech and learning about the digital advertising landscape. Christmas is coming…and so are the adverts! Meet Daisy, a 14-year-old junior intern. She visited the Bristol office last week for work experience and to learn all about Coull. This advert is about a boy who has a toy penguin, represented in life form. The boy decides to give the penguin a companion for Christmas, to keep him company. This advert may not have any words, but it still shows emotion in a playful and powerful way. John Lewis talks beyond their brand and conveys an emotive message, for example, “Christmas is for sharing”. They use memorable, impactful music. Coca-Cola has become quite iconic in the Christmas advertising world and are allegedly responsible for Santa being dressed in red. They’ve managed to market a product, that’s arguably not very healthy for you, and make themselves a worldwide brand. This advert depicts a family Christmas and everyone sharing and celebrating with a coke. ‘Family time’ and ‘sharing’ are common themes in Christmas ads. Coca-cola has created a worldwide tradition by dressing Santa in red, in a clever way to reinforce their branding. They show a family Christmas, really speaking to their audience on a personal level. Marks and Spencers made a comeback in 2016 when they released their Mrs Claus advert. This is a heartwarming and funny advert, targeting their audience with the main character (Mrs Claus). As well as all this, there’s a theme of feminism throughout, empowering Mrs Claus as a more important part of Christmas. It shows a different side to Christmas, a ‘behind the scenes’ look. This advert speaks directly to their target market. This is an empowering message for women. 2014 marked 100 years since that start of World War 1, and Sainsbury’s decided to mark this pivotal point in history with this ad. This advert shows soldiers in the trenches, creating a strong sense of patriotism as well as showing the importance of kindness and friendship. This advert speaks to British audiences, making them feel proud of their country and heritage. 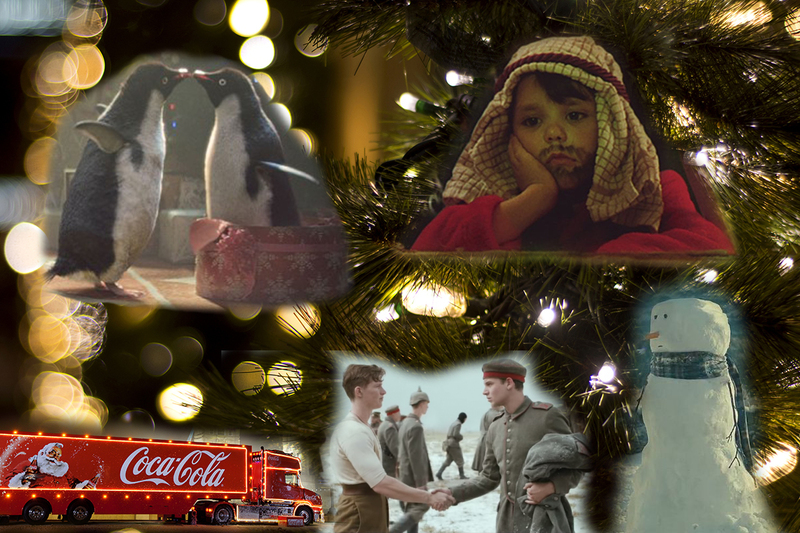 It also reminds us of the core values about Christmas: sharing and kindness – a running theme in these Christmas ads. This 2011 advert shows a little boy, waiting patiently for Christmas and it ends in a heartfelt moment of present giving. What this advert does well is it takes a different point of view, taking it back to our own childhood memories. This ad tells a very emotive message to the viewers, similar to the other adverts. There’s no speech, only a well-chosen song, this makes more of an impact and makes the advert visually compelling. Emotional imagery speaks louder than words. Use impactful/memorable music – sometimes speech isn’t needed at all. It can be fun or serious but think outside the box to help it stand out. For example, take a different point of view like the Mrs Claus character. Know and speak to your audience. Use events from the past that convey a strong message, like the Sainsbury’s ‘1914’ advert. Think beyond the business or the product, viewers react more to emotional, relatable messages. What are your favourite Christmas adverts? A kitten? No. And it’s not a puppy either (although, that would be nice). The best thing you can adopt this year is Ads.txt. Unfortunately, it’s not as fluffy as a kitten and it won’t go for walkies. But, it can soon become a man’s (or woman’s) best friend. This year, P&G’s Marc Pritchard called the digital advertising industry out on its lack of transparency, claiming it’s “murky at best, and fraudulent at worst”. But the IAB (the Internet Advertising Bureau) has developed a tool (released in May earlier this year) to help clear the murky waters. It’s an IAB-approved tool that can be used to authenticate websites and prevent unauthorised inventory sales. This tool removes fraud from the sell side by preventing domain spoofing. Domain spoofing is when a site is made to resemble a real and established website. This practice allows publishers to misrepresent low-quality inventory as coming from high-quality sources. The Financial Times recently investigated domain spoofing against their site and found shockingly high levels: “They estimated the value of the fraudulent inventory to be £1 million a month.” However, this won’t affect their revenue anymore as they’ve recently started using Ads.txt and their inventory can be authorised by buyers. Also, as you’re probably more than aware, we’re on the cusp of the busiest time of year, so there’s no better time than now to get friendly with Ads.txt. Apart from taking a small amount of time to set up…none! Great! So how can you adopt Ads.txt? 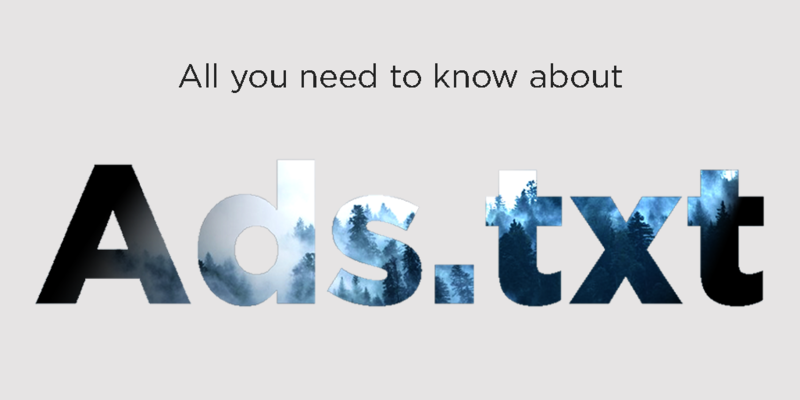 You need to add an Ads.txt file to your site by adding “/ads.txt” on your root domain. It’s essentially adding an extra page on your website. This page will contain the information that the ads.txt crawler will use to verify authentication. This set of data is a list of advertising systems, such as DSPs, Exchanges etc. that are allowed to buy inventory on that site. This will include their domain names, a unique publisher account number and the type of account (direct/reseller). 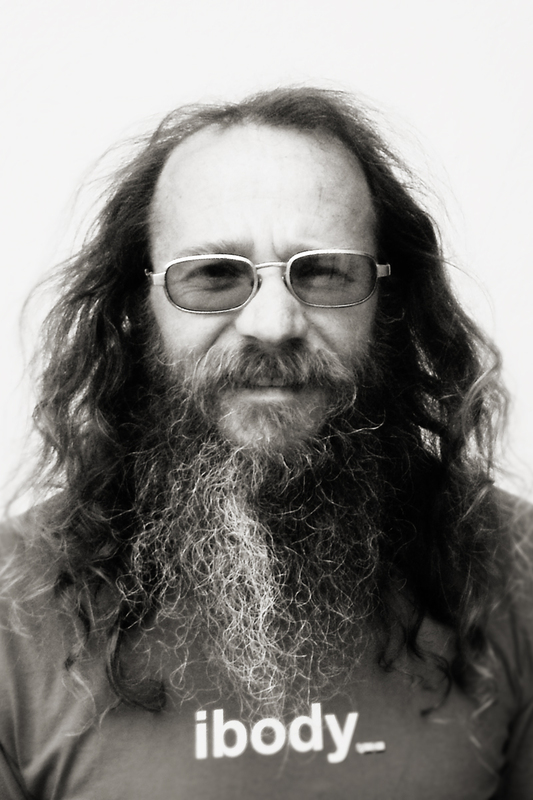 Why do we love Ads.txt at Coull? We think that implementing Ads.txt throughout the whole industry will bring more transparency and teamwork and will help fight the battle against those nasty fraudsters. The IAB is looking to make Ads.txt mandatory soon, so the earlier you can implement it, the better. Companies all along the chain are already saying they only want to work with Ads.txt publishers. Don’t lose out on your revenue for something that is free and so simple. For more information on Ads.txt, visit the IAB Tech Lab. Snapchat: a digital fad or valuable ads? Ten-second selfies took the world by storm five years ago, in the form of Snapchat. Millennials flocked to the app like bees to a hive, and now, 166 million users send snaps daily. Amongst features such as ‘Filters’, ‘Stories’ and ‘Discover’, a new addition arrived last month: the ‘Snap Map’. This enables Snapchatters to see their friends locations and popular local stories all over the globe. As you can imagine, this feature didn’t come without controversy. But the point is, Snapchat is feeling the pressure to innovate. Although the app’s popularity has had steady growth over the years, one social media platform has been stealing the limelight: Instagram. Instagram hasn’t hidden the fact that they’ve replicated many of Snapchat’s features, such as ‘stories’. They tapped into the care-free approach of Snapchat, allowing quick sharing without leaving a footprint. Originally, Instagram started out by offering users a way of posting well thought-out and edited posts. But now, Instagram has both options and as a result, the appeal of the app has skyrocketed. 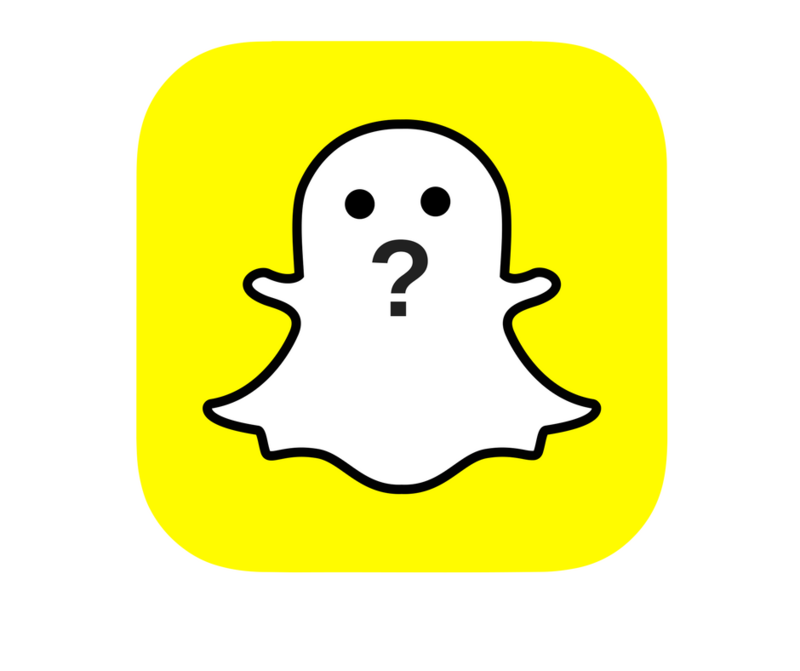 How can Snapchat win back users? Discovering a brand on Snapchat is difficult because the exact username is needed to add someone. Brands are struggling to see the benefits of using Snapchat and are either changing their tactics or switching to a different platform altogether. If Snapchat is able to change this, it’s likely that many brands would return and the users would follow. Snapchat’s main message at Cannes this year was, “Bigger isn’t better” (Although their huge Ferris Wheel conveyed a slightly different message). They’re clearly aware of their growth levelling out and are putting the focus on the app’s creativity and functionality. This makes sense because, no matter how exciting an app’s features are, the duplication of these concepts will inevitably appear on competing platforms. If Snapchat can concentrate on keeping their users happy with fun new technology and simple functionality of the app, users are more likely to stay loyal. Also, a Snapchat executive reportedly told another influencer, Sarah Peretz, “Snapchat is an app for friends, not creators.” when she told them she was leaving the platform. By limiting their app this way, they’ll lose both influencers and their audiences. Some dedicated support to influencers could change all of that. Publishers prefer Instagram because they present more monetising options. For example, Instagram allows creators to link to external sites. And the increased length of videos has enticed many publishers. Whereas, at the moment, Snapchat’s ‘Discover’ page is one of the only places to advertise — and the access to this is limited. Snapchat is in a very powerful position, if they can appeal to advertisers and publishers on a larger scale, it could put them ahead of the game. Coming back to the Snap Map, this could become a valuable opportunity for brands. It could potentially offer location-based mobile advertising, leading to a more targeted reach and increased engagement. This could be the way to surpass the social media war and could provide some healthy competition against the Google/Facebook duopoly in the mobile advertising world. Snapchat is on the lookout for ad tech companies in an attempt to increase the efficiency of their ads and in turn, appeal to more marketers. There have been acquisition talks with AdRoll, the programmatic advertising platform, but no offers have been taken up yet. Only time will tell if Snapchat will survive the social platform wars or merely become just another digital fad. At Coull, we recognise the value of video content on the web and see the importance of keeping fun and exciting content accessible. We provide technology to monetise videos that effectively tell a brand’s message and keep content creators happy. Want to know more about what we do? Talk to one of our team.